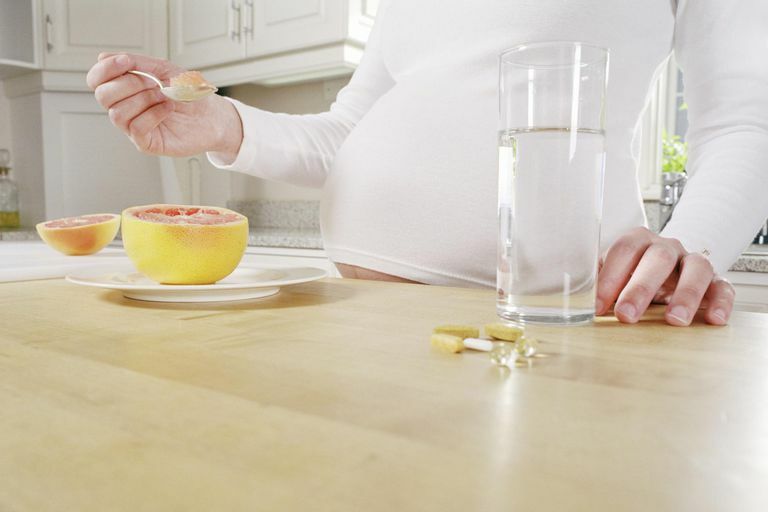 Do Pregnant Women Need to Take DHA Supplements? Many pregnant women have questions about DHA (docosahexaenoic acid) supplements in pregnancy. This compound is not routinely found in regular prenatal vitamins. The polyunsaturated fatty acids (PUFAs) in the omega-3 and omega-6 families are needed for a healthy diet by everyone. Foods that provide omega-3 fatty acids include fish oil and certain plant and nut oils, while omega-6 fatty acids can be found in palm, soybean, rapeseed and sunflower oils. Fish oil contains two omega-3 fatty acids—DHA and eicosapentaenoic acid (EPA). Some nuts, seeds and vegetable oils contain alpha-linolenic acid (ALA), which may be converted to DHA and EPA in the body. Omega-3 fatty acids can provide a wide range of health benefits, including a lower risk of coronary heart disease and improvement in cholesterol levels. There have also been promising results from studies looking at omega-3 for cancer, depression and attention-deficit hyperactivity disorder (ADHD). Due to these potential health benefits, fish oil, which is rich in omega-3 fatty acids, has become a popular supplement. High doses of fatty acids may have harmful effects, such as increased bleeding risk, higher levels of low-density lipoprotein (LDL, or "bad") cholesterol and blood sugar control problems. In some at-risk populations, such as people who have had a heart transplant, omega-3 fatty acids may affect the heart rate. Omega-3 fatty acids should be used only under medical care in people who have heart disease. During the third trimester, your baby's brain growth is at its peak. This is when these supplements were supposed to have had an effect. What seems to be more important is the ratio of the omega-3 and omega-6 fatty acids. For example, if you increase the omega-3 PUFAs, you may decrease the arachidonic acid (AA), an omega-6 PUFA, which may slow infant growth and development. DHA alone, without AA may also have negative side effects. Though it appears that real fish is what makes the difference and not artificial DHA. This does not mean that the omega-3 PUFAs don't have a chance. In fact, some recent observational studies have shown that there may be a correlation in preterm birth, preeclampsia as well as hypertension in pregnancy with the Omega-3 PUFAs. Women with a history of preterm labor had a 50 percent reduction in preterm labor rates with omega-3 PUFAs, though the general population did not seem to benefit. Though more quality studies are needed for all of these cases. Before you buy supplements for yourself during pregnancy or feed supplements to your baby after birth, be sure to talk to your doctor or midwife about the potential benefits for you and your baby and how they may or may not outweigh the risks. Remember, it's about a good ratio and timing. Because when all is said and done, no expert has the answer as to the appropriate amount or type of supplement that works well in pregnancy. Mayo Clinic. Omega-3 fatty acids, fish oil, alpha-linolenic acid.